King George III was the monarch of England from 1760 to 1801 and the first King of Great Britain and Ireland from 1801 until his death in 1820. For the United States of America, King George III played a prominent role in both establishing colonies here and instituting the unpopular policies, particularly with regard to taxation, that caused the colonies to rebel, declare their independence from England in 1776, and led to the Revolutionary War that handed the British an unthinkable defeat. King George III came to the throne in 1760 at the age of 22, but as early as 1765, he showed signs of cognitive impairment. Although his cognitive decline was gradual and his “mad” bouts were episodic for the next 30 years, King George III showed every sign of neurological decline associated with dementia, as the times when he was completely incapacitated increased and worsened during those 30 years. King George III’s neurological condition was advanced enough by 1788 that Parliament passed a regency bill to be able to quickly and immediately hand the reins of government over to his son, George IV, at any time. Although King George III managed to hold on to power in name only for another 23 years, his dementia was so pronounced by 1801 that he was largely unable to govern. More likely than not, King George III had frontotemporal dementia (an early-onset dementia) and that was responsible for the erratic and irrational behavior that characterized his “madnesses” that are recorded in both the histories of England and the United States. The damage appears to have been slower than most instances of frontotemperoral dementia, but it is easy to see the the progression of the journey he traveled through dementia. It is also entirely possible that King George III had developed other types of dementia as he aged. Some of the historical accounts of his later years suggest that King George III also had vascular dementia and Alzheimer’s Disease. One of the interesting things that occurred to me is the question of whether the United States of America would have ever existed as an independent country if King George III had not had frontotemporal dementia. While it’s conceivable that at some point the United States would have sought independence as a nation in its own right, you can’t help but wonder if it might have been delayed for decades or even a century or more and it might have been under more peaceable conditions had King George III not been on the throne. Dementias affect everything and dementias change everything. For most of people, the sphere of influence affected and changed is relatively small. 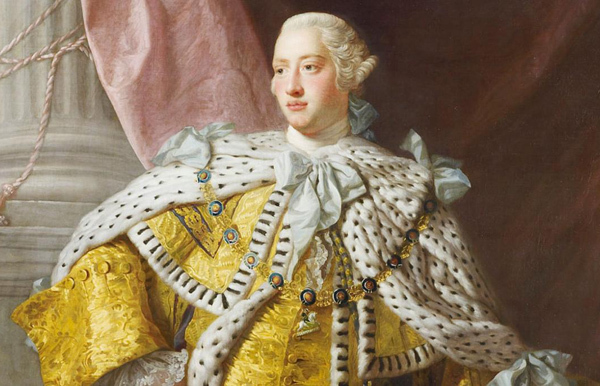 In the case of King George III, it affected and changed the world. I always told people dementia and many other diseases were around centuries ago. The only reason no one seem to notice, as they do today, was because the majority of the population back then died before they reached old age. I loved history and I know King George III was portrayed in the history books as being mad. I did not think of his madness as being dementia. I can see, since you pointed it out in this post, that could very well be true. Very good job on this post. Is the 1865 date in the 4th paragraph suppose to be an earlier date? The one portrayed in the painting is Louis XVI, not George III. Hi, just stopping in to say, the portrait you used in this article is of King Louis XVI. 😀 Otherwise, great article!